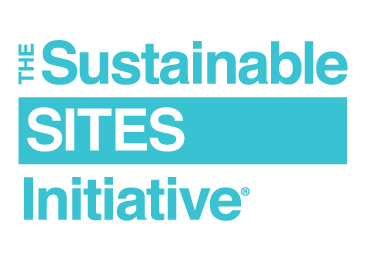 In 2017, GBCI is focused on helping more people meet their sustainability goals by pursuing SITES certification. The SITES program is intentionally set up with enough flexibility so that any major redevelopment or new construction project can pursue it. Project teams need to begin early and consider sustainability from the get-go. SITES considers each major system of a landscape and requires best practices for each system during the design and construction stage, as well as for the life cycle of a project. Our team at GBCI frequently talks to individuals who are excited about SITES and may have a project in mind, but haven’t yet taken the first steps to figure out if the project and client are good candidates for SITES certification. We’re here to help you. Through a series of articles, we will provide you some tips to see if your project is certifiable, to set some goals and to get your client on board. Before you start, you will need a copy of the SITES Rating System, SITES Reference Guide and Scorecard, available on our resources page. Reading through the Reference Guide can be overwhelming at first—it is a considerable document with detailed guidelines. Over time, however, you will become familiar with the whole guide. For now, we thought it might be helpful to give a quick-start guide to projects that are ready to register. Step 1: Look at the prerequisites. Every project needs to meet the requirements listed below to get certified. Although it is necessary to eventually look at all the prerequisites, you must first understand those related to pre-design and design. If those can’t be met, the project won’t move forward. Confirm your project will likely meet these prerequisites by reading the guidelines for each in the reference guide. Even if you think some of these prerequisites may not apply to your project site, it is important to understand them. Projects without some of these features still need to choose an option within each prerequisite to document their site conditions. Any questions during this step? Email us, and we’ll respond within 24 hours. Step 2: Set a certification goal. Could the project earn enough points to achieve a Silver certification? How about Gold or Platinum? You’ll never know until you dive into the scorecard and see what’s possible. Some projects may be able to achieve a Certified or Silver rating based on these credits alone. It is a great place to start in an effort to understand the potential for your project. Once the project is registered and the integrated design team has established sustainability goals, these credits may change. But the ability to quickly assess a project for SITES will be valuable knowledge as the program expands. Step 3: Do your homework. Now it’s time to complete the scorecard for your potential project. In our next article, we will take those scorecards and craft a pitch to the client. Stay tuned! Want to learn more about SITES and advance your knowledge of sustainable landscapes? Access our resources page for webinars and documents that provide more information about sustainable landscape design and development, why they matter and tips on achieving SITES certification.